On May 26, HEC Lausanne invited 9 very motivated participants to join in for a one-day trip to Zhujiajiao Ancient Town and fully immerse themselves in the rich local culture and history. This ancient water town is located south of the Yangtze River, and has over 1,700 years of history. Affectionately dubbed the "Venice of Shanghai”, it is made of lovely waterways, curved rock bridges, old streets cemented with stone, and over 10,000 buildings built during the Ming (1368-1644) and Qing dynasties (1644-1911). 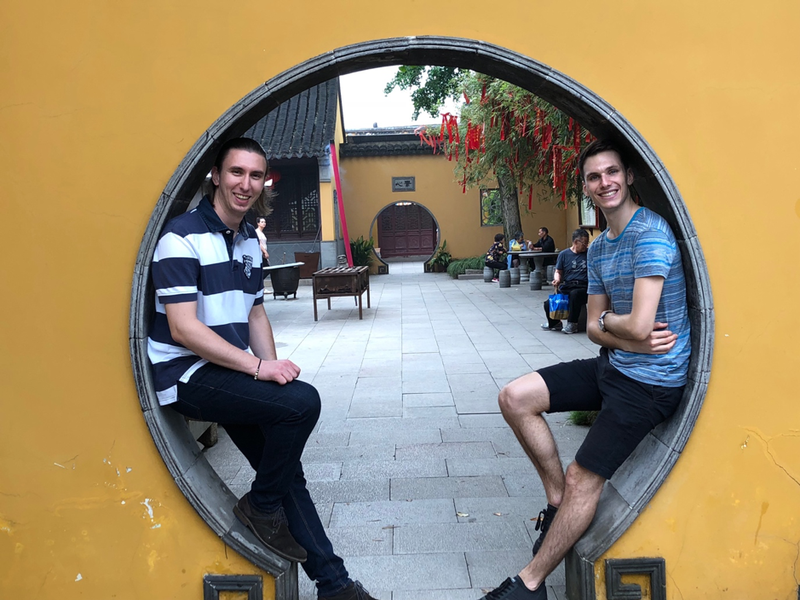 While walking through Fangsheng Bridge, Kezhi Garden and Yuanjin Buddhist Shrine or taking a local gondola on the narrow canals, it was a great opportunity to meet former and current students of HEC Lausanne and exchange our experiences, stories, etc. Did you know that HEC was located at “La Riponne” 40 years ago? Always interesting to compare our university life! Thank you to a great partnership between HEC Lausanne and swissnex China, which enabled such a little fun and cultural outing. Hope to see you very soon, somewhere in this very well connected world.